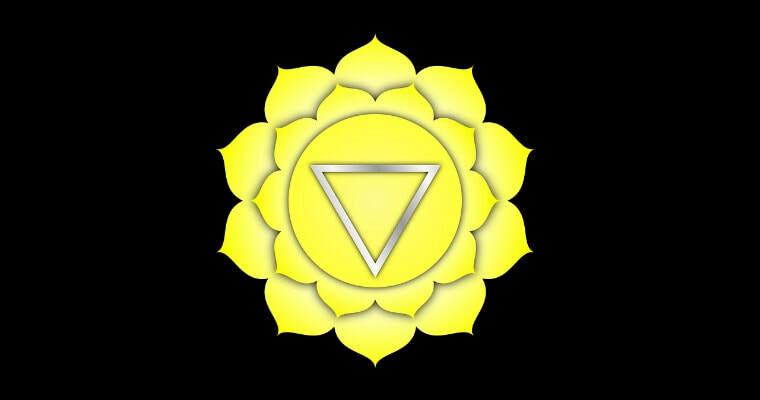 The Solar Plexus is located above the navel and below the chest. It is developed between the ages of 18 months to 4 years old. This chakra is where we hold our self-esteem, power and individuality. It is here where our sympathetic nervous system is vitalized and our metabolism and digestive processes occur. When our solar plexus is balanced we allow our balanced emotions (sacral) to create a positive life experience fully empowered (solar plexus) to create the life of our dreams (root). We are powerful, full of life, supportive and hold all life with a loving embrace. When this chakra is distorted, the ego is in control. We literally Edge God Out by creating blocks within our system keeping our God self energies and highest source of wisdom and knowledge from guiding us. Our egoic, human personality takes over and thinks it’s the boss leading to all sorts of distortions greatly affecting everything in our path. Because all of our chakras work together if one is out of balance it will affect the others. If our root and sacral are out of balance then our solar plexus will also be affected creating aggressive behaviors. The need to dominate and control others (solar plexus), greed and war become the norm when we are not grounded and connected to the Earth (root) and we have denied our powerful sexual energies and emotions (sacral). Energy never dies; it is in a constant state of movement. This distorted excess energy moves through our system putting the solar plexus in overdrive. Peace becomes impossible and an insatiable desire to control others surfaces. Tremendous imbalance occurs between the aggressors and those who have depleted solar plexus energies. People become enslaved in a system dominated by masculine aggressive energies unable to tap into their own innate power creating a viscous cycle of disempowerment and control. That’s why our planet reflects chaos, turmoil, illness and separation because our lower chakras are either blocked or overactive keeping us from moving divine energy up into our heart chakra activating the truth of our being. Balanced Solar Plexus: Divine Will Manifested in Physical Reality, Self-control, Able to Meet Challenges, Responsible, Transformative, Personal Power, Healthy Self Esteem, Warm Personality, Playful and Spontaneous, Humorous, A Leader not a Follower, Able to Speak our Truth and Set Boundaries. Unbalanced Solar Plexus: Attention on Power and Recognition, Domineering, Angry, Arrogant, Need to be Right, Inability to Slow Down, Competitive, Attracted to Sedatives OR Attracted to Stimulants, Weak Will, Low Energy, Easily Manipulated, Passive. Traumas to the Solar Plexus: Authoritarianism, Domineering Relationships, Excessive and Unrealistic Responsibilities, Shaming, Physical and Emotional abuse. Many of us use our power incorrectly. We are either powerless and don't believe in ourselves or we use our power to dominate and control others. Oftentimes, we give our power away to families, friends, churches, governments, and doctors because we don’t want to accept responsibility for ourselves and make the changes necessary to transcend everything holding us back from reaching our highest soul’s potential. We falsely believe it is easier to allow others to figure everything out for us, telling us what to do, rather than relying on our own abilities and intuitive wisdom from our inner being. Giving our power away or desiring to control others is detrimental to our solar plexus chakra.